This is a dog portrait I am currently working on of a beautiful dog, Smokey, who passed away recently. It is at a bit of a funny stage right now (I think I always say that...but it is true which makes it hard to post ;)) but artwork can look pretty funny until the layers are built up more. 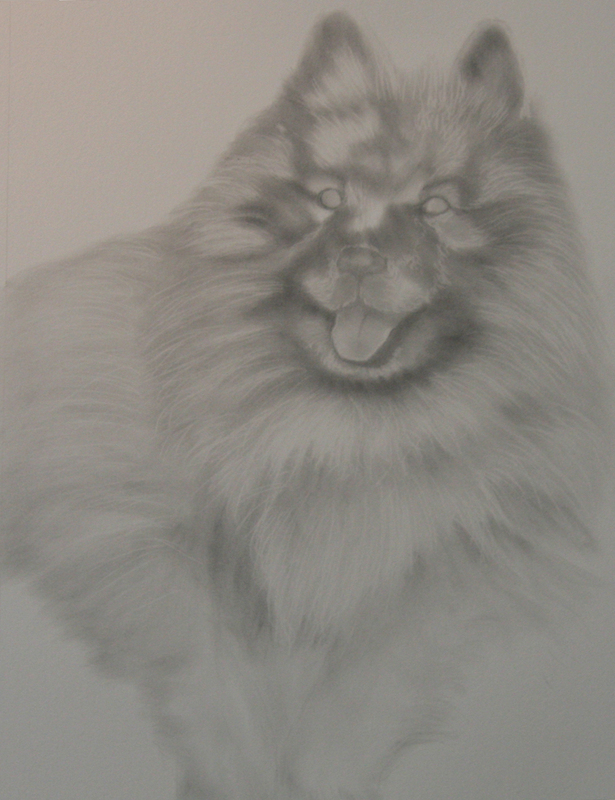 I have built up most of the darker values and then will continue to model his fur until it looks soft and fluffy. I have laid his eyes, nose and mouth as well but they are quite loose right now but once the fur has been built up I will refine them more.